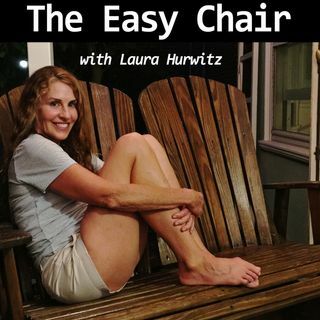 This week on The Easy Chair: Part Two of Seasonal Work, by Laura Lippman. This is the continuation and conclusion of Lippman’s poignant/painful short story told by Kyle, the 14 year-old stepdaughter of Gary, a con artist. The plan is in motion. The family has relocated to Baltimore, and the scam has begun. The kind social worker who comes back to check on Kyle and her siblings turns out to be something quite different. Who’s been playing who? It’s a surprising turn of events in this light and ... See More mostly dark holiday tale. The end of the story is a shocker, and you’re going to want to tune in what happens. This is a holiday story unlike any story you’ve heard before. This weeke’s episode is brought to you by Rothy’s flats, the perfect shoes for women and girls! I love my Rothy’s. They’re comfortable, stylish, and sustainable ( incredibly, they are made from recycled plastic bottles, but they are comfy as any show you're ever worn). Go to Rothys.com and enter promo code chair for free shipping, and no minimum. I guarantee you’re gonna love your Rothy’s, just like I do.